Did You think about Growing Pumpkins for Halloween? 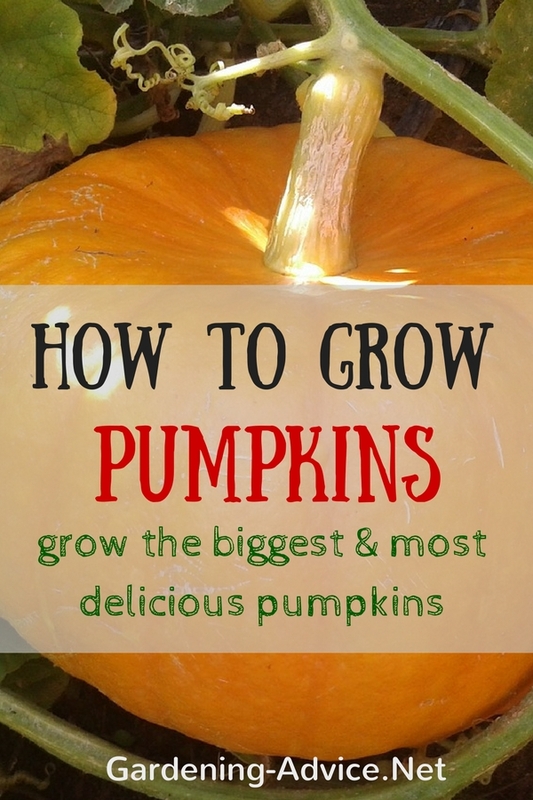 These pumpkin growing tips will help you to grow many delicious pumpkins. 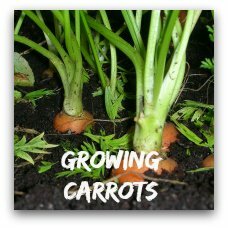 Learn about planting pumpkin seeds, varieties and how to keep your plants healthy and producing heavily. Due to the warm-weather nature of pumpkins, they can only be grown successfully in climates, which have a definite summer season. Pumpkin seeds will not germinate in soil that isn't warm enough and seeds are easily damaged by even the slightest frost. In addition, planting them too early in the year, such as in early May, may cause pumpkins that do grow to decay before Halloween. Members of the squash family are used in a variety of recipes and as decorative items during autumn. When picking pumpkins for Halloween and Thanksgiving uses, make sure that you leave a short length of stem on the pumpkin or it tends to rot more rapidly if the stem was completely absent. 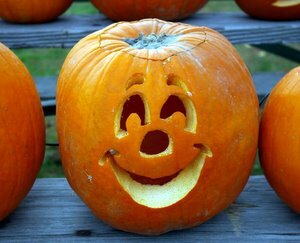 A whole, intact pumpkin can be kept in a refrigerator or cool cellar (45 degrees) for up to six months. Growing pumpkins in a patch requires that you consistently feed the soil with organic fertilizer, as they have a notorious appetite for nutrients. Find a patch to plant your pumpkin seeds where the sun is able to shine unfiltered during the day, which assists in photosynthesis and minimizing the amount of time that dew lays on the leaves. Also preferable is a pumpkin patch that is located on a high water table. 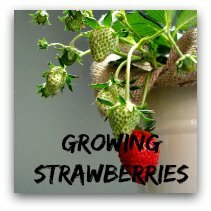 This will cause the roots to reach deep into the soil enabling the plant to receive the needed nutrients. 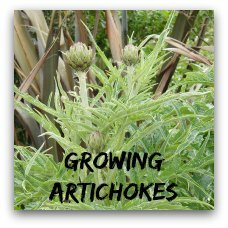 Begin by planting four to five seeds to a hill, with each hill approximately one inch deep. Growing pumpkins that are healthy and sizeable requires that you have five to six feet between seed hills, with rows being around twelve to fifteen feet apart. 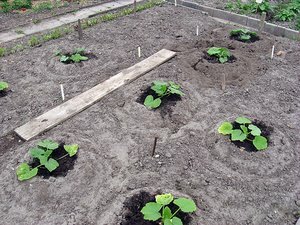 Different varieties of pumpkin seeds need different planting techniques. Pumpkins, which sprout on a vine, need a minimum of 60 square feet per hill, with young plants being thinned out to leave the healthiest two or three plants remaining. Pumpkins, which are "semi-bush" types need four feet between hills and around seven to eight feet between rows. 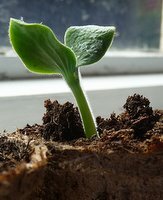 Two to three seeds of miniature pumpkin plants should be planted two feet apart with rows established at six to eight feet apart. Regular hoeing to eliminate weeds is necessary when growing pumpkins, as weeds will deplete the soil of the nutrients on which pumpkins thrive. Although pumpkins are able to withstand several weeks of dry and hot weather, a lengthy dry period will weaken the plants. Irrigate if necessary in order to keep them properly hydrated. When you begin noticing bees hovering around your pumpkin plants, leave them alone. They are necessary for pollination and love to hover around pumpkin blossoms. Harvest pumpkins when they appear a rich orange color and the rind is solid with no soft areas felt on the fruit, usually in late September. Use pruning shears when removing pumpkins from their vines, making sure to leave around four inches of stem attached since pumpkins missing stems will not keep for very long. While growing pumpkins during the summer, many gardeners encounter issues that may hinder growth. One is called "powdery mildew", which is a mold that can attach itself to the leaves and impede ripening of the pumpkin. Try treating this mildew with a fungicide or organic substance containing sulfur. 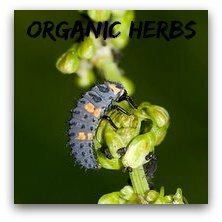 In addition, squash bugs and cucumber beetles are known to infest seedlings and fruits. If this occurs, try spraying a cedar tea mixture on the leaves by boiling cedar chips in water and waiting until the water has cooled before applying. With pumpkins in your garden you can now start looking from some great new ways to enjoy this delicious food...but don't forget the ever yummy pumpkin bread.